Whenever I’m exploring a new town, I always hope to get a taste of the region and its culture through food. This desire often requires online research or a serendipitous run-in with a local foodie. However, my recent experience on the Come Eat Lititz food tour made that pursuit easy, and enjoyable. 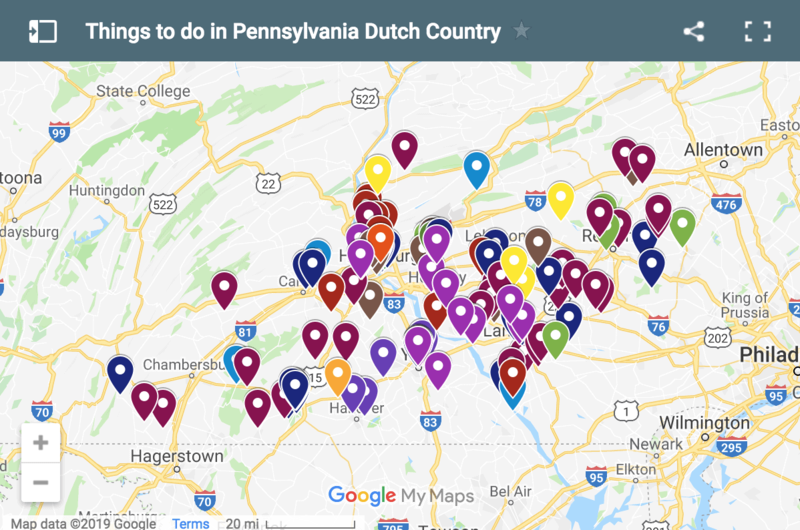 The new food tour, put on by Lancaster County Food Tours as of the summer of 2017, combines food, drink, and history to present a well-rounded glimpse of Lititz, PA. The seven-stop walking tour winds through the downtown area and its over 200-year history. 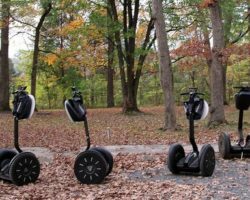 By the end of the three-hour and one-mile tour, it is obvious why Budget Travel Magazine named Lititz, PA America’s coolest small town in 2013. After reserving your spot on Lancaster County Food Tour’s website, the Come Eat Lititz food tour begins at the Lititz Springs Park Train Station. Free parking is available at lots within the park. The train station and visitor’s center sits close to Broad Street and serves as the meeting point for the tour guide and participants. Upon my friend and I’s arrival at that meeting point, we were greeted by our tour guide for the day, a knowledgeable Lititz native with over 30 years of memories in the small Lancaster County town. About eight other participants joined in the tour, which proved to be the perfect size for a bustling Saturday morning. 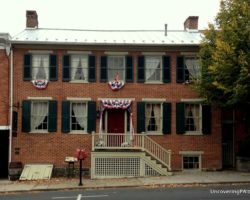 The historic General Sutter Inn, which offers food, beverages, and lodging, is the first stop on the Come Eat Lititz tour. After a brief introduction at Lititz Springs Park about the origins of the small town, our tour guide led us to The General Sutter Inn. 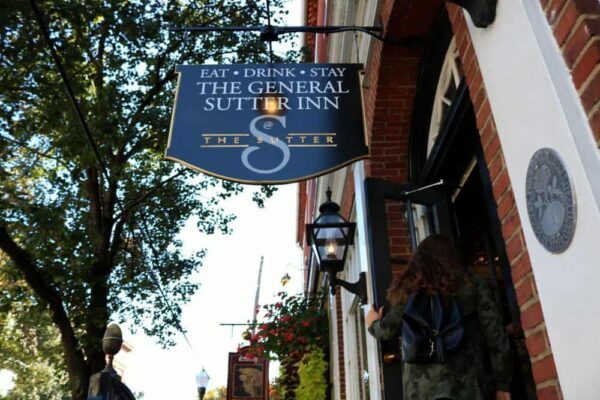 This English-style pub and historic lodging was named after John A. Sutter, a California Gold Rush pioneer who spent the last years of his life in Lititz due to its convenient location to big eastern cities, supposed health benefits from the springs, and quality schools. The Sutter embraces its past with antique decor and furniture, some of which have been shipped from England. The eatery aspect of this destination also pays homage to that past with traditional English offerings such as Scotch Eggs, a British picnic food. 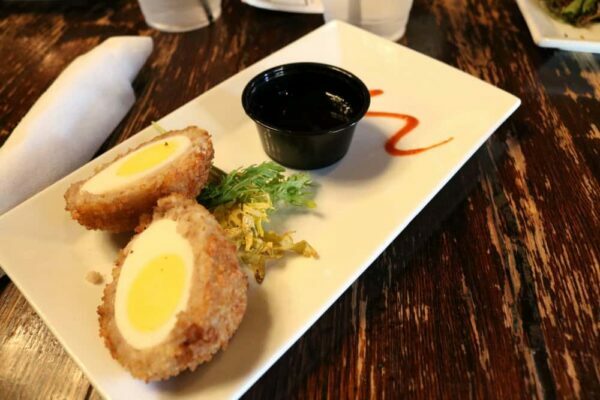 Each participant in Come Eat Lititz receives a serving of these eggs, which are hardboiled, wrapped in sausage, and fried in breadcrumbs. Scotch Eggs from The General Sutter Inn are an appropriate brunch-style start to the Lititz food tour. The Scotch Eggs were unlike anything I’ve ever eaten before, but familiar at the same time. The egg, sausage, and bread combination created a classic brunch flavor, but presented those flavors in a new and usual way. The egg served as a hearty base, the sausage produced a subtle yet recognizable meaty kick, and the bread crumbs added a crisp covering. For more information about this historic eatery and lodging, check out The General Sutter Inn’s website. Just up the street, Olio Olive Oil & Balsamics takes your taste buds on a delicious rollercoaster. 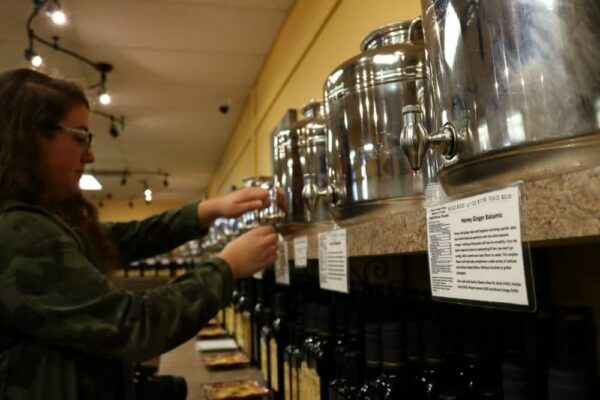 Moving from Main Street to Broad Street, our tour guide led us to Olio Olive Oils & Balsamics. Along the way, she revealed her expertise of Lititz by pointing out old architecture and hidden secrets, such as a clothing drop used to return rented tuxedos. The busy street made me thankful for our small tour group, as we could squeeze together to listen to our guide’s insider information even as cars rumbled past. We were allotted 15 minutes to explore this olive oil & balsamic taste room, but I could have spent the rest of the morning there. With about 100 unique flavors that range from savory to sweet to spicy, friendly and accommodating staff, and unlimited samples, Olio is a foodie paradise. While I had visited Olio once prior to Come Eat Lititz, this visit was made unique by two special offerings for tour participants. Upon our arrival, we were handed individual servings of caprese salad with fresh tomato, hearty mozzarella, bright basil, and Olio’s 25 Star Balsamic Vinegar. Then, as we started to explore the store further, staff members of the family owned and operated store served small cups of vanilla ice cream to pair with more olive oils or balsamics. 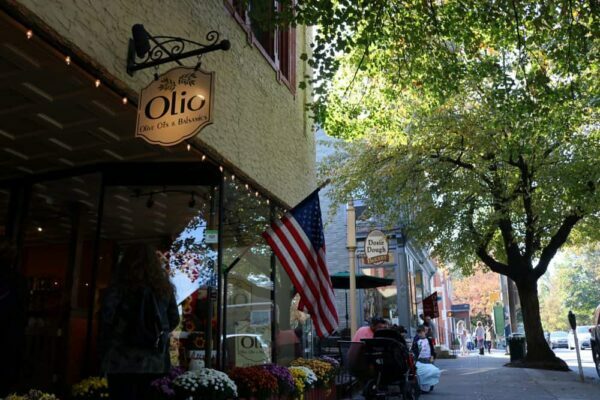 Olio’s retail space in downtown Lititz, PA contains about 100 diverse flavors of olive oils and balsamics to sample. I started by adding sweet flavors such as Mocha Almond Fudge Balsamic and Pecan Praline Balsamic to the vanilla ice cream, both of which created a delightful contrast of pure, cold sweetness and sharp, rich flavor. Then, one of the staff members suggested that my friend and I add Citrus Habanero Fused Olive Oil to our creamy base. Any skepticism fell away as a light fruity flavor and subtle spicy aftertaste blew our minds and tickled our taste buds. For more information about this flavor rollercoaster, check out Olio Olive Oil & Balsamics’ website. 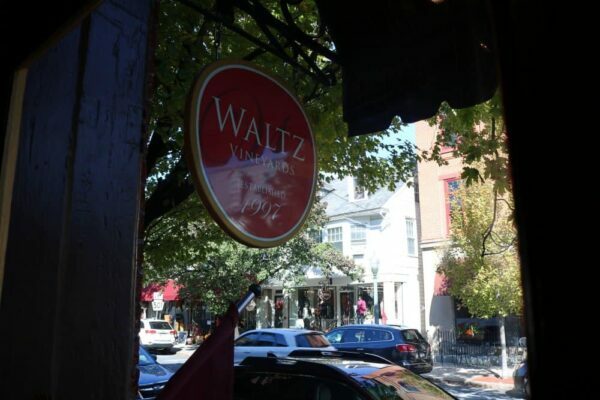 While the actual vineyards are located in Manheim, Waltz Vineyards also offers a small bottle shop in downtown Lititz. Time went by quickly at Olio and before we knew it, our tour continued on to Waltz Vineyards. The woman behind the counter at the small bottle shop outlined the history of the local winery while pouring drinks for participants who wished to taste the wines. Both my friend and I opted out of the wine tasting because of our age, but I still enjoyed this stop on the Come Eat Lititz food tour. Those interested in tasting received samples of a white Sauvignon Blanc, a pink Stiegel Rose, and a red Baron Red. 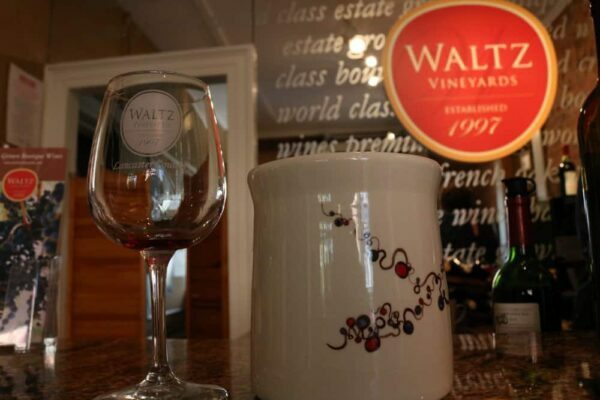 The Come Eat Lititz tour featured white, rose, and red wine from Waltz Vineyards. The woman serving the drinks explained how each wine was made and suggested appropriate food pairings. We also learned that the wines from Waltz Vineyards are served at 30 different restaurants in Lancaster County including The Pressroom and Belvedere Inn. For more information about this family-run vineyard, check out Waltz Vineyards’ website. 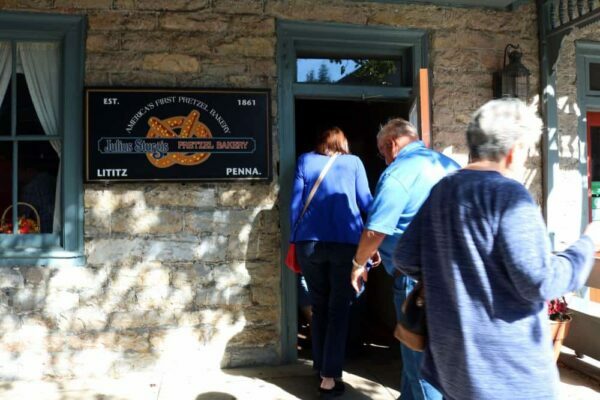 The Julius Sturgis Pretzel Bakery has maintained much of its history to make for an educational and tasty stop on the Come Eat Lititz food tour. The walk from Waltz Vineyards to Julius Sturgis Pretzel Bakery was the most history-packed section of the tour, allowing our stomachs to settle from such a flavorful start. Our tour guide noted details about the original bank in Lititz, the half-timber John Phillips House, Lititz Moravian Church, and Linden Hall girl’s school. We arrived at the pretzel bakery just in time for the noon tour. The tour, which included other general visitors, lasted about 25 minutes and was packed with information about Julius Sturgis and the process of pretzel making. 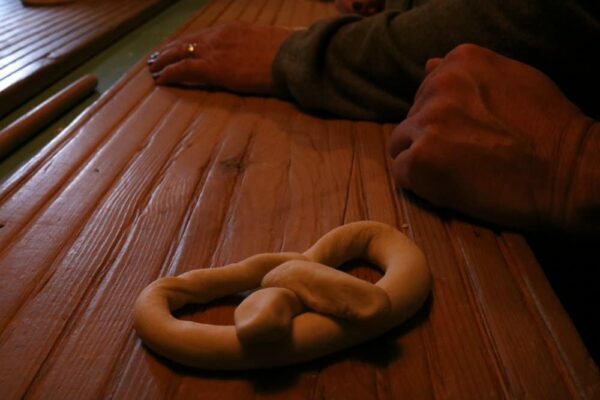 We also had the opportunity to twist our own pretzels, which offered a nice interactive element to the information-heavy tour. Hand twisting pretzels at Julius Sturgis’ bakery adds a hands-on element and a break from all the eating on the Lititz food tour. After experiencing the aroma of fresh baked pretzels throughout the tour, I was more than ready to dig into a warm soft pretzel by the end. Everyone on the Julius Sturgis Pretzel Bakery tour also received a bag of hard pretzels. I enjoyed both as we walked to our next destination, trying to slowly experience the buttery, salty flavor that makes pretzels so hearty and satisfying. For more information about this original bakery, check out our article on the Julius Sturgis Pretzel Bakery. 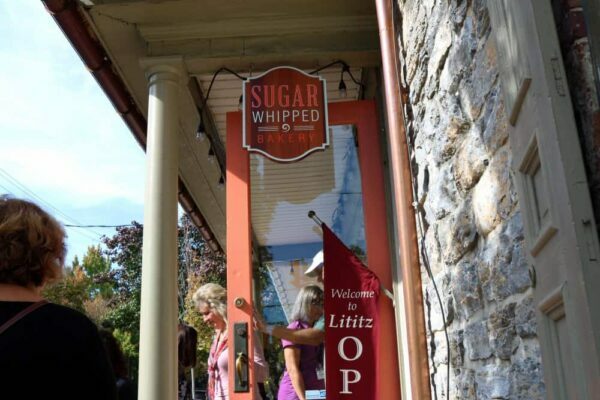 The Sugar Whipped Bakery is the first sweet stop on the Come Eat Lititz food tour. I had to save some of my hard pretzels for later as the Sugar Whipped Bakery is located only a few doors away. And just one step in the bakery’s door embraced us with a sweet yet spice-filled aroma. This Lititz-based bakery uses all natural and locally sourced ingredients in their decadent products. 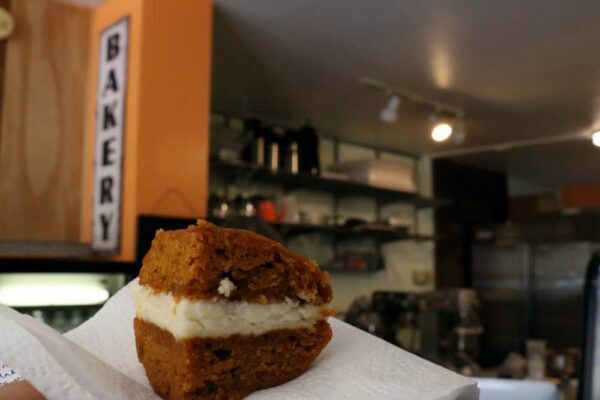 For those with specific diets, Sugar Whipped Bakery also carries a variety of alternative options such as vegan ice cream and gluten-free cupcakes. Come Eat Lititz participants sampled a pumpkin whoopie pie. Our tour guide reminded us that chocolate is a more traditional Pennsylvania Dutch whoopie pie flavor, but the pumpkin felt appropriate for the fall season in which I experienced the food tour. Sugar Whipped Bakery’s pumpkin whoopie pie sample strayed from the traditional chocolate variety but offered appropriately fall flavors. Perhaps my mind was swayed by the information we learned about the bakery, but I thought the pumpkin whoopie pie tasted incredibly natural. The pumpkin cookie part contained a rich flavor rather than an artificial sweetness, and the cream cheese filling created a subtly sweet and sour complement. With such high quality products, I walked away from Sugar Whipped Bakery without any guilt about this sweet indulgence. For more information about this naturally sweet destination, check out Sugar Whipped Bakery’s website. JoBoy’s Brew Pub brings authentic southern flavors to Lancaster County. Admittedly, the transition from a bakery to a pub felt a little backwards. 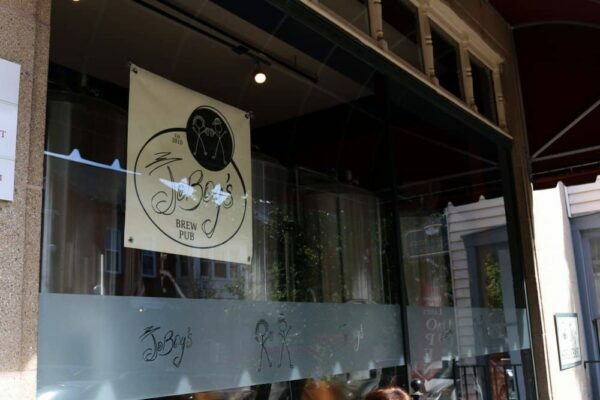 But nevertheless, JoBoy’s Brew Pub offered yet another glimpse into the diverse Lititz, PA food scene. JoBoy’s instantly smells of meaty barbecue, sparking my appetite once again as this point in the tour takes place well into the lunch hour. We had to wait several minutes for our food, which was only of note because of the surprisingly immediate service at our other destinations. This ended up being a welcome delay, as my fellow tour participants and I enjoyed the cool setting and chance to sit down. Those over 21 who desired to try the pub’s beer received a sample of the Lititz Springs Lager. Water or soda options are available to those who opt out, such as myself. 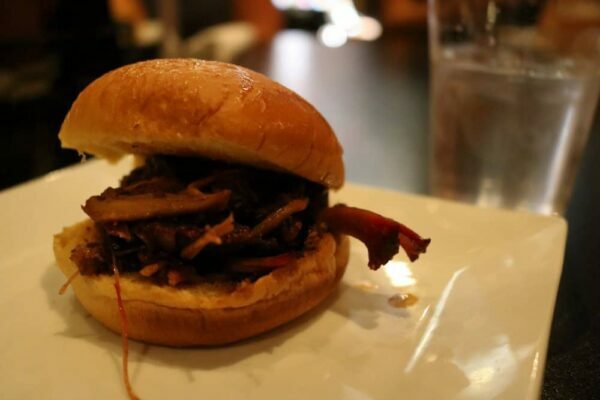 The brisket sliders at JoBoy’s pack a lot of flavor into even this small sample of their authentic barbecue. Soon after, we all received Brisket Sliders. The sliders came out warm, on a miniature yet sizable bun which held a substantial amount of beef. The authentic southern-style barbecue contained such a rich smokey flavor that I did not even need to dress it up with JoBoy’s signature sauces. However, the tomato-based and vinegar-based sauces each brought about a different flavor profile in this classic sandwich. For more information about this southern-style restaurant, check out JoBoy’s Brew Pub’s website. The warehouse across the street from Wilbur Chocolate’s former factory in Lititz, PA contains a small history exhibit and many varieties of chocolate. What better way to end a food tour than with chocolate? Due to the busyness of Saturday shoppers, our tour guide brought samples of eight chocolates to our group outside. We started with a baking chocolate, which most of my fellow participants found overly bitter but I enjoyed as a lover of semisweet chocolate. The Brandywine chocolate which followed took a completely different direction with a traditional sweet and milky essence. Next we sampled two white chocolates, a confectionary and a platinum. The first is made from palm oil and is intended for melting while the second has a cocoa butter base and is made for snacking. While white chocolates are not my first preference, I enjoyed noting the striking contrasts in flavor between the two offerings. 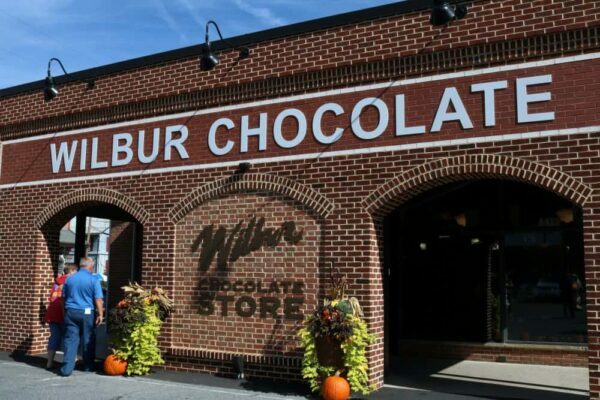 The eight samples of baking, milk, dark, and white chocolate on Come Eat Lititz offer a well-rounded taste of Wilbur Chocolate’s offerings. 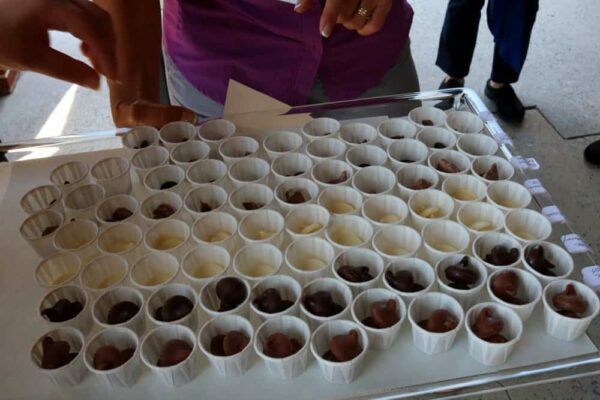 We finished by sampling chunks of milk and dark chocolate, as well as the famous milk and dark chocolate Wilbur buds. Each was delicious and ended both the Wilbur Chocolate taste test and the Come Eat Lititz food tour on a sweet note. For more information about this famous chocolate company, check out Wilbur Chocolate’s website. Eat your way through Lancaster County with Lancaster County Food Tours. I walked away from the Come Eat Lititz food tour with a better grasp of this small town, and a very full stomach. Our guide warned us that it is best to come to the 10:30 a.m. tour on an empty stomach. Each stop offered an appropriately sized sample, one that allowed for a complete taste without overwhelming my appetite. But after seven diverse eating experiences, I was happily satisfied. 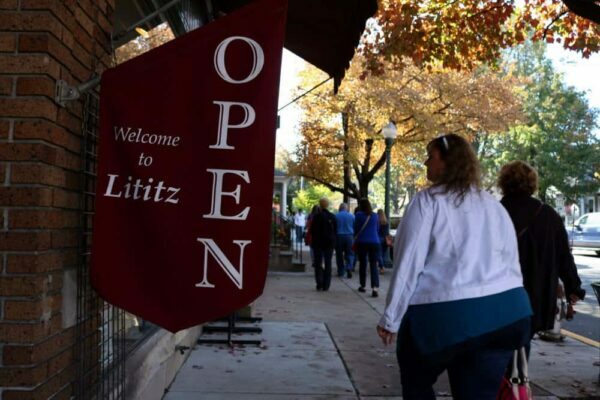 I believe Lancaster County Food Tours’ Come Eat Lititz is the perfect way to explore a town of this size. From olive oils to pretzels to chocolate, this flavor journey captures not only the diversely delicious food this small town has to offer, but its storied past as well. 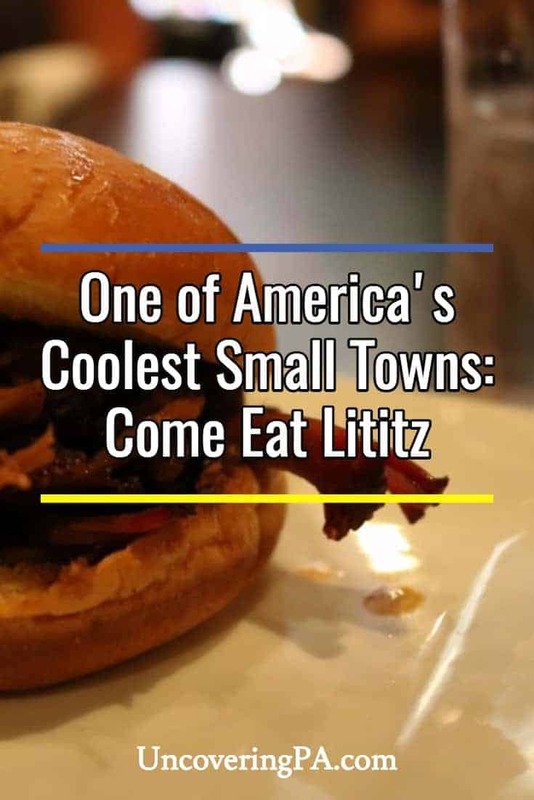 I would encourage anyone who has yet to experience the humble charm of Lititz, PA to become better acquainted with it through the Come Eat Lititz food tour. To see all of Lancaster County Food Tours offerings and to book your own tour, visit their website. Want to take another food tour? 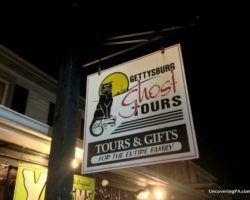 Check out Savor Gettysburg Food Tours in Gettysburg and Burgh Bits and Bites Food Tours in Pittsburgh. Note: My participation in Come Eat Lititz was hosted by Lancaster County Food Tours. However, the opinions expressed in this article are my own. Eden Resort and Suites - The area's highest-rated hotel on Trip Advisor. Gabrielle Redcay is a student at Millersville University who interned at UncoveringPA. 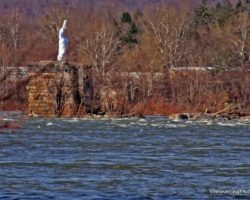 Lancaster County serves as Gabrielle’s beloved home base for as many spontaneous road trips and local explorations as her college-student budget allows. I really liked this article and have placed it in my favorites folder as I plan on taking this tour in the future. Thank you.